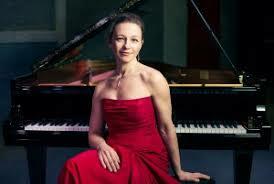 PUNE: Russian-Swiss pianist, Irina Chkourindina, a multi-faceted artiste, whose talents range from concert pianist to chamber musician recently performed in Pune in a concert organised by the Poona Music Society. Pune's music lovers enjoyed a wonderful western piano concert to remember, featuring the compositions of greats like Mozart, chopin and Rachmaninoff. Irina, a graduate from Moscow’s Tchaikovsky Conservatory, she received a mention from the jury for her work as a soloist and chamber musician. At the Conservatoire de Genève, she obtained another degree as a soloist and a post-graduate degree as a chamber musician.